Ideal to add style to your Aprilia RS while aillant a solid piece. 6,78 € 6.78 tax incl. Offering discreet design and racing look, these holds back foot aluminum TNT Tuning will dress your machine. Removable at the base of the foot wedge, they can be changed easily. 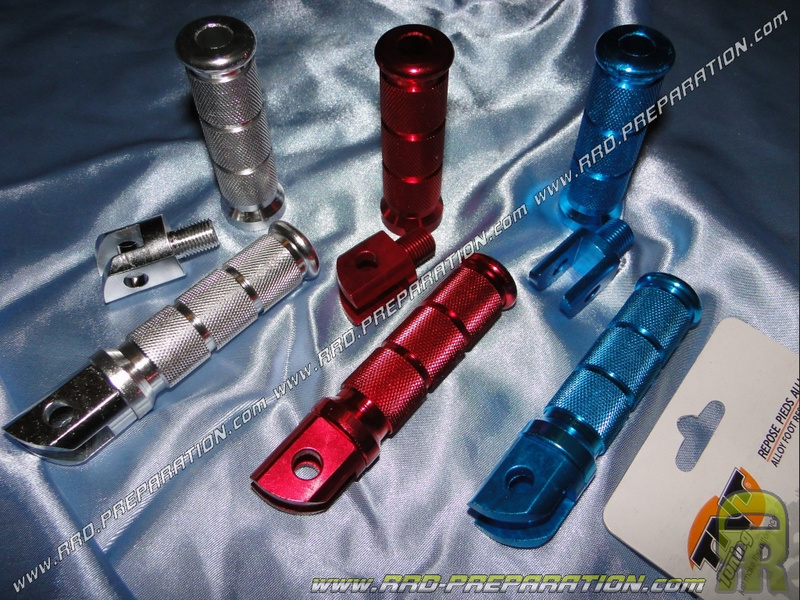 They are mounted on APRILIA RS 50cc from 1999 to 2006 (aluminum / am6 framework) and several colors to choose: Blue anodized Anodized Red and Aluminium. Thickness at fixing: 20mm with center slot. Base diameter wedge: 25mm external and 22mm on the inside.